Welcome to the 21st century New York, build by the people, for the people. In this citizen created roadmap, we outline how to humanize technology, move beyond transparency for transparency's sake, and ensure we have government technology that works for the people, built with the people. This is the original Roadmap. As of Fall 2017, 14 of these ideas were drafted into legislation, 9 were signed into law, and another 9 became public-private partnerships. The People's Roadmap for a digital New York City is paving a path to improve our lives, provide transparency, and inform government of our desires. NOW, we seek your ideas and feedback! What are the current issues and trends we should address? How should government address them? 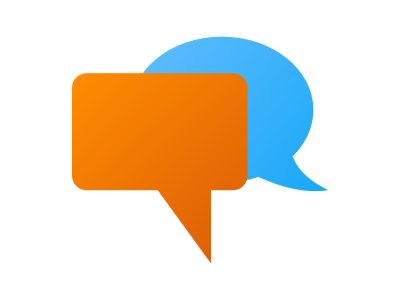 Give us your suggestions via talk.beta.nyc. Welcome to The People's Roadmap to a Digital New York City. In this document you will find values and recommendations formulated by people of New York, for the people of New York, for the 21st Century. Through our roadmap, we look at technology as a catalyst for empowerment and bridging municipal management inequalities. Through the People's Roadmap to a Digital New York City, we want to move beyond transparency. We want a government that asks us about our needs and is responsive to our problems. Written for the people, by the people, this roadmap has traveled to all five boroughs lighting a pathway for New York City to stay the world's premier digital city. "Technology is not a slice of the pie, but the pan." - Andrew Rasiej, Chairman of the New York Tech Meetup. In this roadmap, you will find 34 programs and opportunities that are critical to realizing a 21st century New York City. Cesar Chavez is quoted as saying "the fight is never about grapes or lettuce. It is always about people." As the people of New York, we too agree that the fight is not about the bits and bytes. The fight is for the people to connect and empower themselves. Together, we can make this city safer, more resilient, efficient, and smarter. We want all New Yorkers to be connected to the 21st century's opportunities. Since 2011, the Bloomberg administration has produced three Digital Roadmaps, strategic plans to transform New York City into the world's premier digital city. While pioneering, we felt the government-created roadmap needed a more complete voice. This document is created by the people, for the people of New York City. BetaNYC, NYC's vanguard of civic technologists and civic hackers, has organized around this document to outline a future that uses technology to extend FDR's four freedoms into the 21st Century. We are members of the Code for America brigade program. We meet regularly to demystify the City's digital infrastructure, incorporate data into our projects or business, and advocate for collaborative technology that fosters dialogue and drives impact. Founded in 2009, BetaNYC is dedicated to building a connected New York City for the people, by the people, for the 21st Century. This roadmap is the culmination of years of active listening and engagement with New Yorkers from all backgrounds. The ideas within this guide began online. Then, these ideas were brought into public forums, community events, and workshops held in all five boroughs. This "community"-centered roadmap is a guide for future city administrations to develop smarter communities, high-speed and accessible infrastructure, lifelong learning education initiatives, programs for employment and economic mobility, and effective and open government. The Digital Roadmap released by the NYC Digital was created to "share NYC's past success in digital and tech initiatives, and simultaneously 'spur' the development of the city's tech scene." It was focused on developing New York City into a digital capital by realizing the city's potential as the world's leading digital city. NYC Digital's roadmap pioneered five distinctive areas defining a digital city: Internet access, open data, engagement, open government, and industry. Our roadmap, in addition to the City's, is part of a multi-generational effort to build a better New York for its people and businesses. NYC Digital's Progress Report released in January 2013 stated that the goals set forth in the Digital Roadmaps were 80% complete. The most recent Progress Report shows that all five areas and their 33 programs are now 100% complete. While this might be the Administration's view, New Yorkers can look around them and see that we are far from 100% complete. To realize the full potential for a 21st Century New York City, much more work needs to be done. As of December 2013, we are in a prime position to transform NYC's government into the digital capital of the world. Following the 2013 election, a confluence of new players will be assuming roles: a new Mayor, a new Public Advocate, a new Comptroller, a new City Council Speaker, four new Borough Presidents, and twenty new City Council Members. As they usher in new leadership, we urge them to think of how technology can be for the people, by the people, for the 21st Century. To capture this essential moment, we introduce to you the people's roadmap built for the city, by the city, for a 21st Century city. For the last three decades, New York City's government has been at the forefront of developing a transparent and open government, innovative public engagement tools, and ground breaking technology policy. These initiatives have ensured a transparent, efficient, and participatory government. These initiatives have enabled participatory communities and entrepreneurial opportunity. New York City's history is filled with groundbreaking achievements in transparency, accessibility, and connectivity. The base of the Statue of Libertywas the City's first "kickstarter" (crowd-sourced) campaign. The designs for Central Park were collected through a groundbreaking public design competition. Other notable achievements include the creation of New York's Freedom of Information Law and New York State's Committee on Open Government, New York City's 1989 Charter Revision -- including the Commission on Public Information And Communication(COPIC), the Public Advocate's Office, and the first Municipal Data Catalogue. In the last twelve years, New Yorkers have broken new ground with NYC 311, Mayor's Management Report, the Mayor's Office of Data Analytics, the City's first Digital Officer and Open Platforms Officer, and the most advanced municipal digital records and open data law, Local Law 11 of 2003 and 2012, respectively. The NYC Digital Roadmap, carefully documents the progress of 30 years of work and celebrates these achievements. Within our people's roadmap, we outline our 21st Century values, pillars, and specific opportunities for the future New York City. The initiatives exemplify a community-centric approach to actualize New York's potential. We firmly believe in a progressive New York City where technology fuels opportunity, inclusion, engagement, efficiency, and innovation. "We believe that the power of technology is driven by the power of the people who use and benefit from that technology. Empowering people to work together, to pursue opportunity, to make the city a better place to live and work—that's what makes a city smart." A government by the people, for the people, must have its people as primary users. This is accomplished by using agile policy techniques. This model of engagement provides for active community dialogue, iterative listening sessions, and a cycle of action that creates impact. While New York's previous roadmaps have placed their focus on technology, tools, programs, and companies, we have placed our focus on relationship-building, iterative improvement, active stakeholder engagement, and placing the user, individuals and communities, at the core. We believe that a smart and wise city is built by empowering people to work together, to pursue opportunity, to make the city a better place to live and work. For a collective future all can embrace, a 21st Century government must create a platform that converges collective values, active listening, tools - digital and social, and ongoing collaboration with all stakeholders. Throughout this document will we see digital as a tool to addresses empowerment and inequality. The first signpost on our road map is our collective values. Looking at Chicago's Technology Plan, NYC Digital's roadmap, progressive policy and campaign ideas, we see four 21st Century freedoms. Pulled apart from their defined policy containers, we see four universal digital freedoms that are at the core of the aforementioned roadmaps and policy documents. Inspired by the United States' Bill of Rights and the Universal Declaration of Human Rights, we have extended President Franklin D. Roosevelt's four universal human freedoms to the digital age. The Freedom to Connect represents the idea that access to high-speed bi-directional internet is a prerequisite to full participation. Economic growth, job creation, educational opportunities, public safety, digital government services, and access to affordable health care depend on affordable and fast connectivity. In 1932, FDR emphasized the right of communities to provide their own electricity. Today, the City has the opportunity to deploy an infrastructure for universal access that will serve the public good. Local initiatives, in partnership with the private sector, are essential to fully realize the potential of next-generation connectivity and the digital city. The Freedom to Learn stands for the ideal that access to knowledge, code, data, tools, and learning institutions, regardless of gender identity, language, age, faith, or class, is essential to an empowered and educated citizenry. It has long been argued that new technology has the potential to "fundamentally transform how and what people learn throughout their lives." As the "learning revolution" facilitated by technology continues to unfold, it is important to consider what role what communities and government can play in fostering this potential. The Freedom to Innovate is central to the progress and advancement of communities. It is vital to the development and perseverance of a complex, dynamic, and thriving civil society. This city was founded on innovation. Evident from the 17th Century fur trader to the 21st Century maker, this City's heritage is founded upon entrepreneurial ideas. Now, our innovations span across nationality, race, gender identity, age, language, and class. At what is just the start of 21st Century digital age, the City faces the challenge of facilitating sustainability and innovation through constantly changing political, social, and economic climates. We need laws and policies that protect us and provide for opportunity and general defense of the commons, and enable us to keepgrowing. The Freedom to Collaborate stands for the ideal that participatory democracy is realized by increasing peer-to-peer social connections between all individuals and social groups. Regardless of status and interface, must have the ability to engage with our government, wherever and whenever. We must have the power to effect change and be a government by the people, for the people, for the 21st Century. As the four Universal Digital Freedoms provide us foundational values, the People's guide recognizes NYC Digital's leadership in carving out five pillars of focus. As we recognize NYC Digital's leadership, Chicago's Technology plan retooled these pillars to focus on individuals and communities. As we bring this narrative back to New York City, the People's Guide to a Digital City also directs its focus to individuals and communities. Like Chicago, we see this roadmap "to empower all New Yorkers to use technology to fuel opportunity, inclusion, engagement, and innovation, and also advance innovation in government and civic communities." Regardless of geographical location, socio-economic background, or language, all New Yorkers -- businesses and residents -- need access to affordable wired and wireless bi-directional high-speed Internet access. As clean water and electricity have evolved our standard of living, only "the right to seek and receive information and ideas through any media and regardless of frontiers" is a universal human right. While the printing press lowered the barrier for access and education, the interconnecting network known as "the internet" has abolished the understanding of capacity. Though this network, we are now able to connect, communicate, and participate as citizens of a global network. For New York to continue to be a global capital of creativity, justice, information, and opportunity, New Yorkers need accessible, affordable, and regulated internet infrastructure. Access to internet, however, is only the first step of many. The construction of this infrastructure must be used as an economic developmental tool. In Red Hook, Brooklyn, the combination of a community-owned peer-to-peer broadband network and job training for local young adults has built a double redundant network. Together, access to the 21st Century is grown with lifelong technical troubleshooting skills. Education and learning are lifelong processes. Literacy has proven to be the active ingredient in an empowered and prosperous democracy. Literacy has given individuals the tools for empowerment, regardless of age or socioeconomic background. While technology has empowered a revolution, technology is not the revolution. Unprecedented access to knowledge and learning opportunities are the true revolution. For a prosperous 21st Century city, traditional skills must be augmented with digital literacy skills. In order to maximize the potential for learning, all New Yorkers need policies that encourage us to develop lifelong learning practices. The next Administration must continue to empower educators, students, parents, community groups, and individuals with 21st Century education practices. It is essential to continue developing programming connecting those in lifelong learning programs to technology and creative industries. For a strong and thriving ecosystem, all New Yorkers need access to the tools and resources that will empower them to realize their full potential. In the digital age, digital literacy is the catalyst to activating the City's potential in creating new jobs and facilitating economic mobility. As President Franklin D. Roosevelt illustrated in the Four Freedoms, every individual should have the freedom from want though an adequate standard of living, access to a living wage, and meaningful work. In New York City, this reality can be achieved through the funding of public spaces that focus on education, empowerment, and hands-on learning. Combining these opportunities with laws, policies, and programs that promote ethical industries, we create a positive ecosystem for all. The next administration must maintain a commitment to entrepreneurship. This should be done by fostering programs that allow the next generation of New Yorkers to compete in tomorrow's technological driven world. The underemployed and those willing to learn should be able to join initiatives that develop literacy skills and innovation for all. Finally, the next administration needs to support locally developed ethical, green, innovative, creative, and potentially disruptive economies. From manufacturing to service industries to yet-to-be developed digital industries, all New Yorkers need a living wage and an opportunity for meaningful employment. Laws and policies should be structured to protect the individual while providing fertilized soil for industries to call New York City home. An effective government is a transparent, efficient, and participatory government. A transparent government has proven to enables economic and civic entrepreneurship. An efficient government enables good stewardship of tax dollars, opportunity, and collaboration. A participatory government easily allows for public oversight, government accountability, and intergovernmental collaboration. The next administration should ensure that New York City is continuously improving its municipal data practices (internal and external), government accountability practices, and reviewing its procurement procedures. The first step is to maintain NYC's Open Data Laws and foster opportunities to strengthen it. Moving forward, all city reports and the data contained in them must be presented in a machine-readable formats, freely accessible, openly licensed, and available in a non-proprietary formats. The structure of the data should be represented in its most disaggregate state with as much location data as permissible. Agencies must stop the practice of only producing aggregated and infrequent updates. They must take meaningful action toward a goal of near-real-time updates, including updates of disaggregated source data. Second, the City should work with the State to adopt a similar open data law that enables city residents to look at all data generated within the city's limits. Additionally, state-chartered authorities who solely reside within the city (i.e., NYC Board of Elections, NYC Housing Authority, Roosevelt Island Development Corporation) and private companies that operate as city chartered franchise (i.e., NYC Economic Development Corporation, NYC Bike Share Company/Citi Bike, and NYC Technology Development Corporation), should fall under the City's open data law jurisdiction. If technology is the pan and policy is the flame, together they produce a full course of opportunities for increased transparency, participation, and efficiency. To ensure a government for the 21st Century, the next administration must review and improve the City's technology production and procurement practices. Council members and their staff, City Administrators, Community Boards, and constituents should have access to a suite of open and reusable tools that lowers the barrier for participation, increases government transparency, and provides a fertile ground for entrepreneurship. New Yorkers need better tools and policy that unlock the limitless empowering opportunities they have to improve this city. The strength of New York City is rooted in its neighborhoods and communities. New York City consists of many strong, vibrant, and diverse networks. To create smarter communities, essential digital literacy skills are needed. Combined with digital civic engagement opportunities we build smarter, safer, and empowered communities. By simply making the treasure trove of City data more usable, NYC will increase accessibility, community awareness, and participation. By building upon NYC's existing legal framework, listening to the needs of individuals and communities, and extending digital participatory programs, the City can ensure a thriving, local, and sustainable ecosystem. New York City is already blessed with many civic communities who are integrating technology with community needs. To build smarter communities, we recommend the next administration devise and implement active listening projects, tools for community boards, and an agile strategy where community groups, individuals, and civic hackers can fully realize collective projects. Finally, the next mayor needs to refine Code Corps to be an "always-on" civic practice that builds community digital services. This collective group of collaborators will to demonstrate, educate, and grow 21st Century practitioners. Just as technology has shifted to be user-oriented, we see the future of New York City's civic engagement and technology to be oriented around the constituent. This ranges from changes in safer streetscapes, better data around space and place, continuous opportunities for feedback, and active auditing to ensure proper service delivery. This is what Brett Goldstein and Lauren Dyson call Beyond Transparency. We see our guide as an opportunity to help New York City government become a better platform for justice, equality, and innovation, and truly be a government for the people, by the people, in the 21st Century. While the next four years will open up many opportunities, the first 100 days are important. To set the tone, NYC's government should focus on fostering community connections and building holistic tools to improve the lives of all. This is not to say that technology is the sole saving tool, but rather an important component of in-person and participatory frameworks. The first step in building a 21st Century New York City's government is for the creation creation of a "We the People" online/offline petitioning program. This tool would modernize the current petitioning practice in line with New York City Charter Section 1043(f). This pioneering section of the City Charter provides for public solicitation of an administrative decision on a hearing. This actionable practice needs to be adopted for the 21st Century and interpreted for integrated online/offline opportunities. Additionally, the next Administration should centralize Freedom of Information Requests, produce the City Charter in an easy to use and searchable website, and provide for maximum transparency, efficiency, and participation in the rulemaking process. To properly calibrate opportunities and programs, the City should consider a "technology spending and government efficiency commission." Similar to NY State's SAGE commission, but focused on technology, participation, and efficiency. This audit would review and evaluate how agencies are listening to their constituents and servicing their needs. In this process, "Agency Stat" tools would be scheduled to be opened to the Mayor's Office of Data Analytics and eventually made part of the City's Open Data portal. Lastly, the next NYC government should invest in CodeCorps and CodeLab, two ideas championed in NYC Digital's fall 2013 digital roadmap, and re-align NYC BigApps. Together, this program would further integrate NYC's civic hackers (e.g. BetaNYC, DataKind, and CodeMontage into helping address the digital divide. This collection of civic hackers would be challenged and resourced to work with agencies, interface with the City's under-represented communities, and collectively build solutions to address the City's more important needs. Through openness, dialogue and action, NYC can develop a 21st Century practice of digital participation and inclusion. Like a garden, these practices need to be seeded, fertilized, pruned, and given time to grow. To accomplish this vision, we recommend improving or enhancing the following programs, initiatives, and tools. Updated Freedom of Information Law policy: "One strike and you are in"
Through 311, New York City has demonstrated the maximum value of constituent feedback. As mentioned above, a "We the People of NYC" would be a petitioning program that modernizes City Charter New York City Charter Section 1043(f). This pioneering section of the City Charter provides for public solicitation of an administrative decision for a hearing. While infrequently used and through a paper process, citizens can demand a public response. This practice needs to be adopted for the 21st Century and interpreted for digital action. "We the People of NYC" would provide a new way to petition New York City government to take action on a range of important issues facing the city. Modeled after We the People, a federal open source website for the US President, the NYC version would similarly better allow citizens to coordinate efforts, create, and sign onto petitions. This empowering tool would give New Yorkers a modern and effective way to engage with issues that matter to them. Similar to the current Public Advocate's FOIL tracker, all agencies should track their freedom of information law requests and make those requests public. Every citizen request should receive a tracking number and the ability to monitor the progression of that request via a website. This centralized tracking should cut across all executive agencies and therefore give a unique insight into what information is requested. Code for America has developed RecordTrack as an open-source way to track Freedom of Information Requests. While the Freedom of Information Law is pioneering in nature, it needs to be modernized for the 21st Century. The Mayor's Office of Data Analytics (MoDA) has started to deliver FOIL requests though the City's Open Data catalogue. This is the first step. All future FOILable requests should fall under "once opened, always open." This way when one FOIL response is published, it should be published online in a manner so no one else should have to FOIL the same material again. Executive Order No. 306 established the Mayor's Office of Data Analytics (MoDA), which created the positions of Chief Analytics Officer and Open Platforms Officer. This executive order was an essential step to realizing the power and potential of open data in NYC. The next administration must continue this momentum in understanding the collaborative nature of NYC's open data platform. This should be done by enabling MoDA to play an active role in how data projects are architected and deployed. MoDA should have access to all "AgencyStat" systems. Having a holistic view of service requests and operations should be one of MoDA's core roles. Code Corps was launched as the nation's first municipal program that engages vetted volunteer technologists to work on life-saving City government initiatives with an emphasis on emergency and disaster recovery needs. Additionally, New York is blessed with the largest collection of civic hackers and technologist who seek to make oversized impact in their communities. Code Corps should embrace these networks to be an always-on community of civic hackers who are familiar with the city's infrastructure, data, and can be at the ready to support the city at a moment's notice. Currently, the role of the Chief Digital Officer is limited, features a small staff, and has few resources to implement programs. Despite this, the Chief Digital Officer has effectively supported and promoted activities around NYC tech and social media. With the redesign of NYC.gov, NYC Digital has taken the first step in having resources and programming to actualize its potential. The next administration should reconsider how the Chief Digital Officer and NYC Digital are integrated into city-wide operations. The previous NYC Digital Roadmap proposed CodeLab, a small web and mobile development team that is able to quickly prototype and launch new projects, introduce pioneering technology enhancements to the City's platforms, and offer support to agency technology initiatives. In addition to running Code Corps and fostering digital partnerships, this re-imagined NYC Digital should completely embrace the ideals of the open source community and design and develop in the public. Ideally, NYC Digital should have greater resources for the development and programming of innovative research and design technology projects. Boston and Philadelphia's Office of New Urban Mechanics is a cross-agency group focused on delivering transformative city services to residents, developing community integration programs that focus on innovation, empowerment, and inclusion. The next Administration should consider molding NYC Digital into an incubator for new technology-led approaches for delivery of resident and business services. On top of being the City's digital ambassador, NYC Digital should help convene innovative policy discussions inside and outside government. NYC Digital should be seen as the go-to digital insights team. As first mentioned in Manhattan Borough President's "Start Up City" - New York should explore the creation of a municipal fiber network by using publicly-owned assets—including transportation and utility infrastructure—as conduits for sparking competition among Internet Service Providers (Time Warner, Verizon, Cablevision, etc.) and improving internet connectivity. This could be done by adopting common carriage regulation for any bit-carrying cable that is laid above, on, or under public land. Pioneered by the Red Hook Initiative, community-owned and maintained wireless networks are a possibility. Maintained by Digital Stewards, local young adults (19-24), Red Hook WiFi is providing affordable broadband access to residents and businesses alike. As the community is developed, the Digital Stewards are trained through an intense curriculum bringing together technical and career development skills. Additionally, these combined programs double down on resilience. In Red Hook, Brooklyn, the combination of a community-owned peer-to-peer broadband network and job training for local young adults has built a double redundant network. Together, access to the 21st Century is grown with lifelong technical troubleshooting skills. The NYC Department of Education's Innovation Zone (iZone) is a community of innovative NYC schools committed to using technology and tools to personalizing learning for students. The iZone program seeks to help students become better prepared for success in K-12, college, and careers. Additionally, NYC's iZone has been able to uniquely bring innovation to the classroom, parents, and community. For an efficient and innovation public school system, New York City needs iZone. This is just one government innovation program that should be championed under future administrations. As mentioned in Manhattan Borough President's "Start Up City" and NYC Digital's "Roadmap to the Digital City," NYC's students need to have technology and digital literacy, the language of business, and civic data competency built into their curriculum. This is a must for an educated 21st Century constituency. Currently, NYC EDC's Entrepreneurial fund - a $22 Million fund - provides promising NYC-based technology startups early stage capital. This practice should be expanded to NYC's pension funds and be seen as a critical infrastructure to the health and growth of industry in NYC. NYC.gov's tech procurement process is slow, expensive and frequently produces bad software tools. Today's procurement processes for software are the same as those for purchasing buckets or gravel. Good technology purchasing requires a different approach, because all outcomes cannot be defined upfront. Changes to procurement rules will make it easier for the City to do business with emerging, smaller tech companies. Increasing the size of the talent pool will increase competition and offer more variety of approaches and tools. The Federal "RFP-EZ" program is a model for this approach, by providing a website for small businesses to sell their services, and for contracting officers within government to navigate the process of purchasing. The process of doing business with the city should be as simple as possible and be online. Not only was the NYC Business Express the first step in simplifying the process, but it is an excellent example of cross-agency engagement and innovation. Over the next four years, business permits and authorizations should be digitized to lower the barriers of engagement. To accomplish this, a review of current "paper" permits and applications should be done within the first 180 days of the administration and scheduled for digitization. During that process, there should be listing sessions in all 5 boroughs, and the end schedule should be publicly posted with the ability for further feedback. Within the first two years of the administration, the City should have digitized 100% of paper workflows for small business permitting. In the meantime, tools like Code for America's BizFriendly should be explored to simplify the permitting and application process. While bulk data access to the City Record is slated to be online on or before 14 December 2014, this is just the first step in rebuilding the Department of Citywide Administrative Services' online City Record. As the city record is the canonical database of solicitation procurement notices and awards, public hearings, meetings, court notices, property dispositions, agency public hearings, agency rules, and changes in personnel, the City Record needs to be envisioned as a portal accessible via all types of devices for all New Yorkers. Starting with real-time data feeds or APIs, reimagining this site would unlock opportunities for small business to know when and where they could bid on services and engage in government. Finally, by producing this tool in a more open format, the people of New York would finally get access to the true inner workings of government. Just as Manhattan's Central Park was designed through a landscape competition, NYC BigApps and NYC Digital's "Reinventing" series have proven to be a successful platforms for engagement and community innovation. As the next Administration explores ideas of community engagement and innovation, it should continue to develop these programs and ensure that the public is a partner in building a 21st Century city. Government itself needs to think in digital in order to deliver services which are suitable for users. As digital by default comes into effect, the scale of government service provision will grow dramatically, and the quality and user-centricity of major commercial internet properties should be the minimum goal. NYC DoITT should aim to make best-in-class products and services, but its products should stand shoulder-to-shoulder with the sort of digital experience that users come to expect from daily interaction with the giants of the web. Additionally, DoITT needs the power to overhaul its procurement practices and elevate the role of the Chief Information & Innovation Officer to a position of power and not simply a technology plumber. When replacing or upgrading city software platforms, NYC should in line with the US Department of Defense's procurement policy. NYC should consider all open-source software projects to commercial software. Additionally, the city should require all vendors who produce software to consider open source solutions. This would ensure that one vendor's tools can be supported by multiple vendors, and could be customized by teams of vendors working together. Under the previous administration, DoITT considered an initiative that would leverage NYC's "social network" of individuals and vendors to produce software. The last three terms of the Bloomberg administration have brought about many innovations, including the creation of inter-agency task forces. Within the digital sphere, two task forces that were created have been influential in developing policy, programming, and problem-solving. Continuing the existence of the task forces is critical. Under a new administration, interlinking communication and data efforts are key. The two task forces: Data Advisory and Research Task Force (DART) and Social Media Advisory and Research Task Force (SMART) should have their best practices decompressed and be improved for the next administration. Since 1968, NYC Urban Fellows program has been great a catalyst introducing America's finest college students and graduates to local government and public service. Both the Presidential Innovation Fellowship and the Code for America Fellowship program have proven to usher in innovation in technology, and NYC needs a fellowship program dedicated to such ideals. This proposed Mayoral Innovation Fellows (MIF) program would be an expansion of the current Urban Fellows program to pair top innovators from the private sector, nonprofits, and academia with top innovators in New York City government. This program would create 9 - 13 months "tours of duty." Like other innovation fellowship programs, programs would focus on developing solutions that can save lives, save taxpayer money, and fuel job creation. Starting with the General Transit Feed Specification (GTFS), citizens around the world were introduced to the power of a data standard that helps citizens better navigate their environment. GTFS isn't the only data standard. Across the board, the City should be producing data that empowers individuals to use data to improve their lives and the city around them. The Local Inspector Value-entry Specification (LIVES) is an open data standard which allows municipalities to publish restaurant inspection information to Yelp or any other website. Currently, NYC.gov maintains several mapping tools NYC Map, NYC 311 Map, and a soon-to-be produced crime map. These mapping tools contain countless points of rich data. Like the liberation of PLUTO and ACRIS, these maps have data that should be accessible to the public for free. All maps maintained by the city should fall under Local Law 11 of 2012 and should be accessible via Application Programming Interfaces (API). Since the first release NYC.gov's digital roadmap, the City stated it would start to license its content under a Creative Commons Copyright. While the City can not give up its copyright, it must understand that The City is the steward of the people's content. It needs to find what content can be shared under a Creative Commons Copyright and then release it as such. Government's public-facing web tools should be tested by the people. Similar to programs currently developed by Smart Chicago Collaborative and LISC Chicago, this program would enlist citizens to test government public-facing web tools and learn to be digitally literate. This program would reorient programs, like NYCHA's A.T.T.A.I.N. and BTOP programs, to focus on structured engagement that 1) connects residents to the internet, 2) promotes use of open and free tools, and 3) develops neighborhood-driven requests, technology needs, and/or new data sets. Since the passage of Local Law 11 of 2012, New York City's data has created fertile ground for the development of tools and curriculum. Linking these three - data, tools, and curriculum - into basic course work would help empower all New Yorkers to create smarter communities. Working with local organizations, a Smarter Communities Academy would interlace data, tools, and curriculum to teach and empower elected officials, their staff, community boards, community groups, and individuals to build safer, smarter, and interconnected communities. Referencing projects like MyUSA, Portland's CitySync, Speaker Quinn's "MyCityHall" campaign idea and NYC's own desire to develop a personalized version of NYC.gov, there is no "one size fits all" digital experience. For the 21st Century to serve all who come to New York, their digital experience needs to be customizable. Looking to Portland's open sourced CitySync and NYC's Developer Portal, the two tools could be combined to provide personalizable access to the City's most desired information. This could be a one-stop portal for constituents and businesses to conduct business with the city and receive personalized information about their city. From street cleaning, to community affairs calendars, to repaving schedules, to parking tickets, this one-stop platform will provide a convenient tool for constituents and become a platform for civic developers to enhance. Notify NYC has been a great tool to inform New Yorkers of important, geolocated information in a timely manner via email and text messages. The future of this platform should include more digital platforms, like online streaming services, websites, and gaming services. No matter what platform people choose for entertainment and information, the City should be able to reach them with urgent information. Community boards represent the interests of local communities, to improve quality of life in New York City. Community boards should benefit from the efficiency and innovations made possible by technology. User-friendly digital tools for communication, community feedback, issue reporting, and application review can be given to boards to support greater digital participation. More people can engage with community boards with greater transparency, including recorded meetings and more online opportunities to engage. For the last two budget sessions, Participatory Budgeting has enabled residents in some districts to decide local spending priorities. This process can be scaled to many more districts, to give all residents an opportunity to experience the process of making spending decisions and learning more about how funding is allocated. With leadership from council members, the budget allocated through the process can be a larger share of local capital spending. Using open tools that have been pioneered in Washington DC and San Francisco, NYC should adopt open platforms that equip all constituents with an easy way to access the City's Charter, Rules, and Code on any platform at any time. Creative Commons (and The New York State Senate circa 2009) produce content that is readable in three layers - human, legal, and machine. The current practice of producing content in PDFs and not publishing machine-readable formats must end. One way to address this would be to update Local Law 11 of 2003 to require agencies to publish all publicly available information on the Internet in a timely fashion and in user-friendly formats. The Sunlight Foundation calls this Public Online Information Law (POIL). This update would end the practices of documents or reports with data being printed onto paper, saved into PDFs and CD-ROMs. Additionally, this would end the practice of making this information only available for purchase through the CityStore. Ideally, this update would require all city-wide reports that contain aggregated data, also have that data disaggregated and published in the city's data catalogue. Additionally, in this process there should an advisory committee that establishes 21st Century internet design and publication policies across the City's reports. Through 311, New York City has demonstrated the maximum value of constituent feedback. Although the greenbook is currently available online, it does not provide a deep enough view into government services and who runs them. The idea of "Yelp.gov" would be produce a holistic view of NYC services, staff, contact information, and provide a mechanism for constituents to give open and public feedback to agencies. This public score record site would be similar to Grade.DC.gov but look and act more like Yelp.com. Modeled after Seattle's first iteration of Department of Neighborhoods, consolidate the City's neighborhood and civic engagement initiatives under a new department whose mission is to engage, empower, and involve New Yorkers of all backgrounds, with particular focus on those in immigrant communities, in civic discourse, processes and opportunities in their city and local neighborhoods. Built for the 21st century, the Department of Neighborhoods can be focused on using digital tools to (a) support and work with neighborhood oriented organizations and activists; (b) track and publicly share participation levels in local institutions (such as community boards) among New York's 59 community districts; and (c), support and share best practices and initiatives for grassroots driven community building in the city. With a more digitally oriented approach, the Department of Neighborhoods can continue or add on to the work of the Mayor's Community Affairs Unit and further institutionalize previously instituted initiatives such as One NYC One Nation, that have sought to involve a plurality of private and public actors for building higher levels of community participation. As New York City journeys through the 21st Century, this document continues the conversation on how technology can best be in the service of all. The values and pillars outlined in this document are central to America’s democratic belief. Through this document, New York City has the unique opportunity to capitalize on these ideas and pioneer a government by the people, for the people, for the 21st Century. As FDR’s four universal freedoms guided our country for the last 72 years, we see them as the bedrock for the next century. In the 21st Century, the freedoms to connect, learn, innovate, and collaborate are shared community values that cut across programs, policies, tools, and communities. To humanize our city’s technical roadmap, we believe that our five pillars properly frame future program initiatives. If our collective goal is to build smarter communities, we must develop infrastructure, education, industry, economic mobility opportunities, and effective and open government practices. These, in turn, align on the convergence of education, opportunity, empowerment, communities, tools, and collaboration. This is our roadmap built for city, by the city, for the 21st Century city. Together, we will continue our fight for a more equitable New York City. Just as we have self organized and acted to build a better New York for all, we will continue to build tools and practices that improve the lives of all. This is how we continue to keep New York City as the world’s premier digital city. Be Social Change is an organization dedicated to educating, connecting, and investing in the next generation of entrepreneurs and change makers creating bold, innovative social impact. Be Social Change empowers individuals with the knowledge, skills, and community of support to build startups and careers that change the world. BetaNYC (formerly Open NY Forum) is Code for America’s NYC brigade that serves as the City’s civic technology and open government vanguard. Since 2009, BetaNYC has been leading elected officials to engage NYC’s technology community, helping pass transformative open government legislation, and supporting NYC’s civic-oriented startups. Blue Ridge Foundation funds and incubates new technology-based ventures that advance opportunity and upward mobility in America. BRF works with entrepreneurs with ideas that create a meaningful social impact and provides these startups with seed funding, co-working space, and hands-on support to help them build, launch, and test their concepts. The Center for Social Innovation is home for a diverse community of people and organizations that work towards creating a better world. The Center for Social Innovation provides its members with the spaces, relationships and knowledge they need to translate ideas to impact. CSI is part coworking space, part community center and part incubator for people and organizations that are changing the world. Coalition for Queens fosters the Queens Tech ecosystem to increase economic opportunity and make the world’s most diverse community into a leading hub for innovation and entrepreneurship. DataKind is connects communities of pioneering data scientists, visionary changemakers, community builders, and social innovators to address social issues and effect positive action. NYC Transparency Working Group (nycTWG) supports efforts to use Information Technology to make NYC Government more open and accountable, and to get the greatest public value from the city’s wealth of digital information. Members of nycTWG include: Citizens Union, Common Cause NY, League of Women Voters NYC, NY Public Interest Research Group, New York Civil Liberties Union, BetaNYC, OpenPlans, Reinvent Albany, Women’s City Club, and The New York Tech Meetup. NY Tech Meetup - Founded in 2004 by meetup.com founder Scott Heiferman and co-founded by Dawn Barber, the NY Tech Meetup has over 32,000 members, representing professionals from all parts of the New York technology community. NYTM centers around its monthly events, where members gather to watch emerging companies demo new ideas, hear leading-edge thinking on technology topics, and build their networks to develop their businesses. OpenPlans - OpenPlans builds tools to get cities on the path to better technology, help citizens get the responsive government they should expect, and scale up small discussions to city-wide change. Open Plans is an impartial, informed guide to civic technology, incorporating technology, transportation and city planning, an open-source approach, and the standards knowledge necessary to deliver valuable tools to their clients. Reinvent Albany - promotes open, accountable New York State government. Reinvent Albany seeks a state government that is clear and honest about its goals and activities, keeps its promises, and benefits from the collective genius and participation of New Yorkers. NYCwireless is a non-profit organization that advocates and enables the growth of free, public wireless Internet access in parks, public spaces, and affordable housing residences in New York City and surrounding areas. The Governance Lab (GovLab) designs more open, effective and networked institutions to improve the quality of people's lives. The GovLab encompasses two major initiatives: Research and Academy. GovLab Research monitors and evaluates new models of technology-enabled open governance in consultation with a network of researchers and practitioners. GovLab Academy provides a training program to engage graduate students across disciplines and universities to design, build and implement collaborative governance platforms. Through its project-based learning work, GovLab Academy aims to instill the mindset and skillset required to tackle institutional challenges for students and professionals around the world. Cornell NYC Tech is a planned campus by Cornell University and Technion, Israel Institute of Technology. Cornell NYC Tech’s degree programs aim to educate the next generation of tech leaders and entrepreneurs by combining deep technical expertise, business savvy and real-world experience. CUNY’s Open Source Solutions Lab is designed to help New York City area public sector government IT professionals considering more cost-effective and flexible open source technology options prior to deployment. The establishment of a stable and defined IT environment, combined with the availability of extensive support services, makes the OSSL an ideal place for examining and testing Open Source solutions. Flatiron School is a full-time, 12-week intensive coding program that teaches normal people how to code, no experience required. At the end of the program, graduates are full-fledged web developers. Girl Develop It is an international organization, certified by the Board of Education, that exists to provide affordable and accessible programs to women who want to learn software development through mentorship and hands-on instruction. Their vision is to create a network of empowered women who feel confident in their abilities to code and build beautiful web and mobile applications. By teaching women around the world from diverse backgrounds to learn software development, we can help women improve their careers and confidence in their everyday lives. Hive NYC Learning Network is a Mozilla project that was founded through The MacArthur Foundation’s Digital Media and Learning initiative to fuel collaborations between cultural organizations to create new learning pathways and innovative education practices together. CodeNow is a nonprofit that teaches foundational skills in computer programming to underserved high school students. They partner with community organizations to hold free, extracurricular, off-campus trainings for high school students. Their program is essential because it lowers the barriers normally associated with technology by giving students exposure to programming at an early age when they are beginning to explore their options and opportunities. Camp Interactive’s year-round programs introduce inner-city, at-risk youth to the creative power of technology. They use cutting-edge tech education tools to provide students with the skills and opportunities they need to succeed, and instill the leadership qualities necessary to achieve their potentials. Want to know more? Join Us. BetaNYC meets regularly to discuss these issues and take action for impact. Can't make it to an event? No problem. We collaborate on projects, ask for help, and post wins to our Meetup.com discussion list or Facebook discussion group. Plug in and let's get connected. This document was compiled by members of BetaNYC and through individuals who attended NYC Digital's listening sessions and co-hosted events with New York Tech Meetup. The primary authors were Noel Hidalgo and Jennifer Baek. They were assisted by Rebecca Williams, Kathrine Russell, Frank Hebbert, Luis Daniel, Daniel Latorre, Nathan Storey, David Osborne, Adam Greenfield, Dana Spiegel , Elizabeth Ghormley, Andrew Hoppin, Alex C-W, Lyle Mills, Mikael Hveem, Andrew Bennie, Arnaud Sahuguet, Andrew Maier. You can find a complete comment history within the google drive version of this document. This work is licensed under a Creative Commons Attribution 4.0 International License. The software code is licensed under a GNU General Public License and available via github. This code was build by Code for Hampton Roads and is maintained by BetaNYC. Site Design Based on Bootstrap, Some Images Provided by The Noun Project and Nick Amoscato.